Why should we all be concerned about Marine Litter? What do we know so far about the issue and how can we work together to address it? How can we better communicate it and what is our role as educators? These are a few of the questions that 24 educators from Cyprus, Malta, Italy and Greece had the opportunity to explore and answer during a week-long training course that took place in Athens from the 7 to 13 of October 2018. 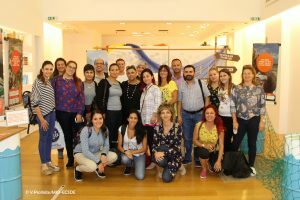 The training was organized by the Mediterranean Information Office for Environment, Culture and Sustainable Development and its education initiative MEdIES. Participants had the opportunity to learn more about the issue of Marine Litter and familiarize themselves with a variety of educational tools that they can now use to better communicate why all of us should be concerned about Marine Litter. They took part in hands-on workshops, a series of site visits including a beach clean-up and monitoring session, while the last day focused on the development of their own plans for projects to sensitize their target groups on the issue of marine litter when they go back home. Marine Litter is a threat not only to the health of our seas and coasts but also to our economy and our communities. We call it “marine” because it ends up in the sea, but most of it is generated by land-based activities, often far away from the shoreline and our oceans. Stopping the flow of litter into our seas is everyone’s responsibility and admittedly, education of youth and sensitization of the general public on adopting ocean-friendly behaviors is one of the key actions needed. 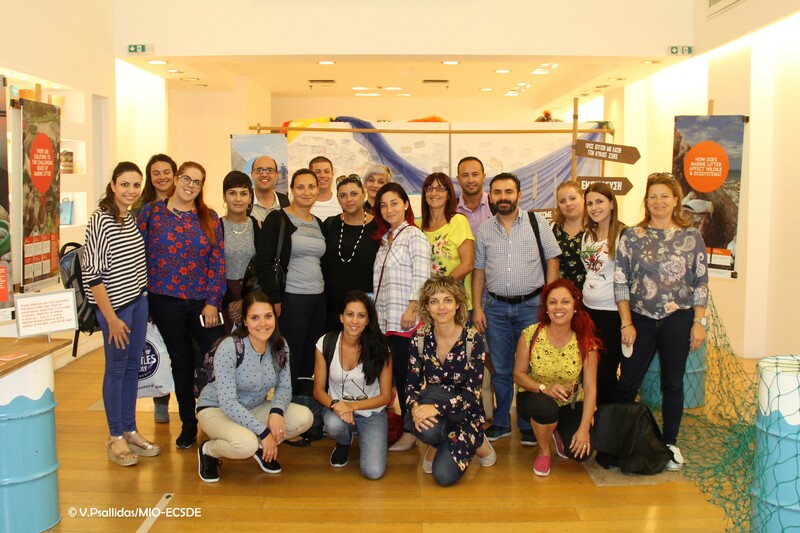 MIO-ECSDE and MEdIES will continue facilitating trainings for educators with the aim of helping raise awareness and empower the education community to be part of the fight against Marine Litter. The training course was organised by the Mediterranean Information Office for Environment, Culture and Sustainable Development (www.mio-ecsde.org) through its education initiative MEdIES (www.medies.net) and the UNESCO Chair and Network of the University of Athens (http://unescochair.chem.uoa.gr/). The trainees supported their participation through the KA1 (Key Action 1: Mobility of Individuals) of Erasmus+.